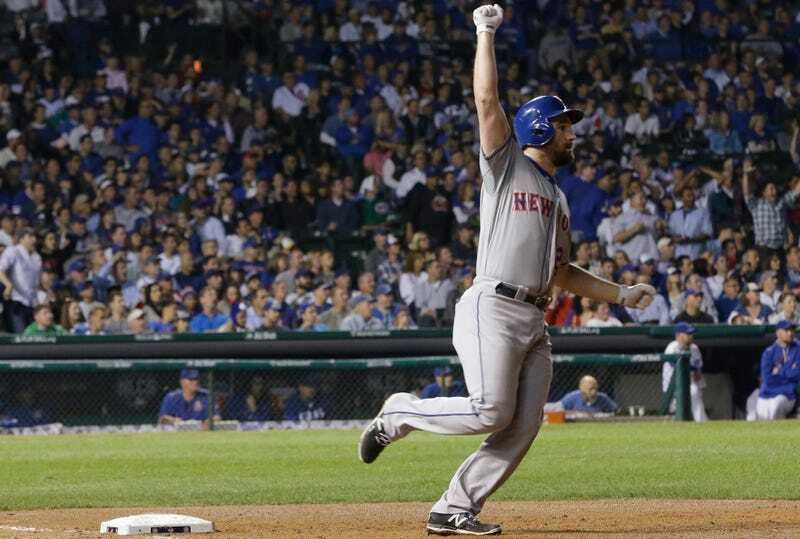 Daniel Murphy’s cherry on top of the ongoing destruction of the Cubs was his sixth straight game with a home run—setting a new postseason record—and his seventh home run in these playoffs, one behind the record for an entire postseason held jointly by Barry Bonds, Carlos Beltran, and Nelson Cruz. He’s about to have at least four World Series games to try and break it. Just for good measure, Murphy is 4-5 on the night with the home run, a double, two RBIs and two runs. Apparently he’s Barry Bonds all of a sudden?